2016 Hyundai VELOSTER COUPE SUNROOF WHEELS LOW MILES ORANGE !!! 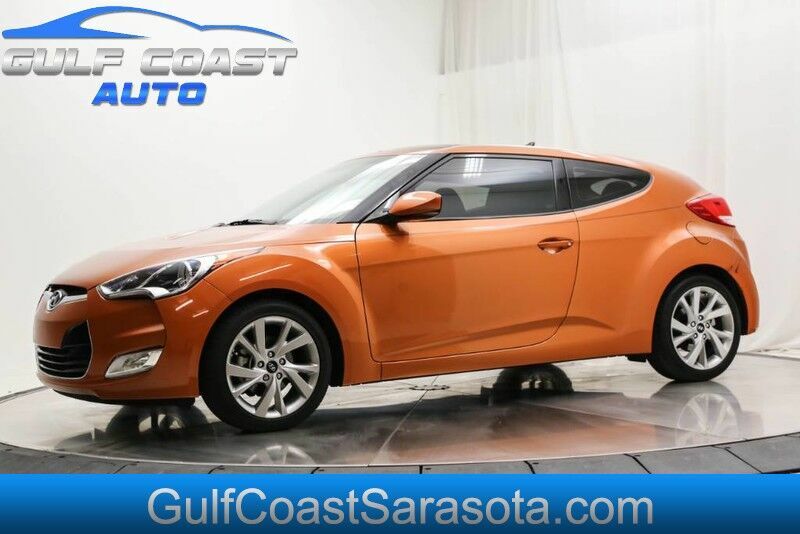 For sale we have a bright vitamin c orange 2016 Hyundai Veloster with a cloth black interior. This one owner Florida car only has 38k miles and it is still under factory warranty !! Bound to take you anywhere smoothly! Equipped with back up camera, fog lights, sunroof and much more! Come check this cool looking car out! Easy financing options available! Call today to speak with one of our sales or finance specialists! 941-926-8444 Why Choose Gulf Coast Auto Brokers? : -All of our vehicles go through a thorough inspection before they are placed on our lot for your peace of mind! -A FREE Carfax report is attached to every vehicle on our website! -Best financing options in town with over 20 different lenders to choose from based on your credit situation! -Knowledgeable sales and finance specialists that will work hand in hand with you to get you best price, service, and quality! -We take pride in being the #1 Independent Dealership in Sarasota; let us show you how!! COUPE SUNROOF WHEELS LOW MILES ORANGE !! !